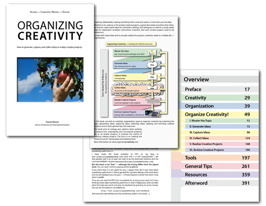 A possible way to create a digital Bullet Journal — with most of the advantages of analog and digital. OmniOutliner seems to be a nice replacement for Circus Ponies Notebook. Some comments. Given that Circus Ponies Notebook is no longer available, it's high time to look for an alternative. So far, OmniOutliner seems to be a suiting replacement. So here's a first look at OmniOutliner, how it compares to Circus Ponies Notebook, and a preliminary way to migrate content from CPN to OmniOutliner. 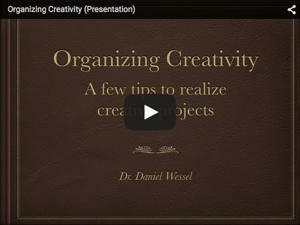 A presentation that gives a short overview of creativity, organization, and the steps you can do to organize your creativity. Plus some reflections on recording a presentation at home. An overview of my DEVONthink databases to handle that strange craving to preserve digital information.